In 2013, 33% of Gilbert’s traffic accidents were due to distracted driving. That’s a 13% increase from 2012. 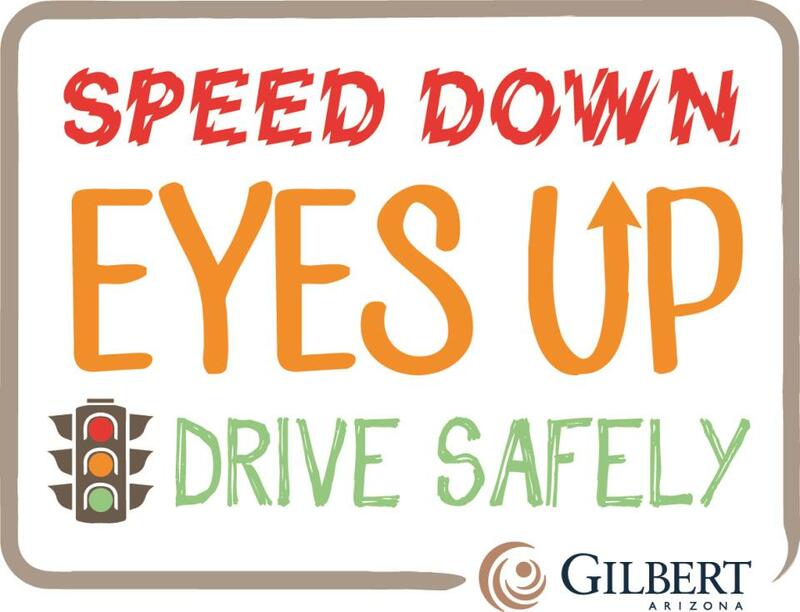 Gilbert, Arizona is launching a new safe driving campaign: Speed Down. Eyes Up. Drive Safely. These efforts are meant to shed light on the importance of driving safely on our roads. Speed and distracted driving are causing more accidents than ever. Gilbert is the second safest city in the country. Let’s keep it that way. Help us spread the word. Speed down. Eyes up. Drive safely. Pledge to Speed Down. Eyes Up. Drive Safely. Do you have questions or additional ideas? Email us at Gilbert.Digital@gilbertaz.gov.